A network of 14 electric vehicle (EV) rapid chargers, forming Milton Keynes CrossLink and supplied and operated by Chargemaster Plc, has been completed four weeks before the planned launch date. 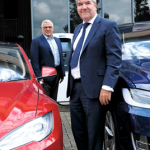 The rapid chargers are some of the first ‘tri-standard’ units in the UK and will allow EV drivers to charge their cars in approximately 20 minutes, enabling cross-country motoring through Cambridge, Bedford, Milton Keynes, Buckingham and Oxford. 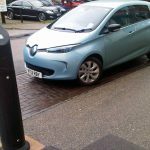 CrossLink is a Milton Keynes Council initiative and the charging units are sited at strategic locations connecting Cambridge and Bedford in the East with Milton Keynes and Cheltenham, Oxford and Buckingham with Milton Keynes to the South West. The units, supplied by local company, Chargemaster Plc, will provide rapid charging to a whole range of the latest electric vehicles. 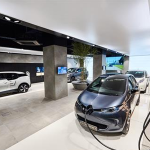 The ‘tri-standard’ charging points are designed to work with all the latest electric cars including the new BMW i3 and VW e-up!, the Nissan Leaf, Renault Zoe, Citroen C Zero, Peugeot Ion, Mitsubishi i-MiEV and the Tesla Model S, the first UK models of which arrive next month. The network of charging points has been partly funded by the Office for Low Emission Vehicles (OLEV) under a government scheme supporting the growth of ultra low emission vehicles and the respective charging network. Milton Keynes CrossLink is one of the first from this round of OLEV funding to be completed, and is one of a number of key initiatives being implemented by Milton Keynes Council to make the city a low-carbon and emission-free centre. 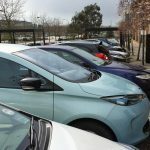 The network, which does not rely on any financial contribution from the rate payer, enables electric vehicle owners and operators to recharge their cars several times faster than conventional chargers and allows easy access to the Milton Keynes regional shopping centre and recreation facilities. 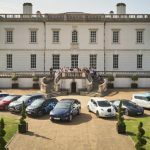 Virtually every car manufacturer is now bringing plug-in cars to market and it is widely expected that by 2020, one in ten cars sold will be electric. This new network of rapid charging stations will help drivers using these cars to make a significant reduction to air pollution and carbon emissions. 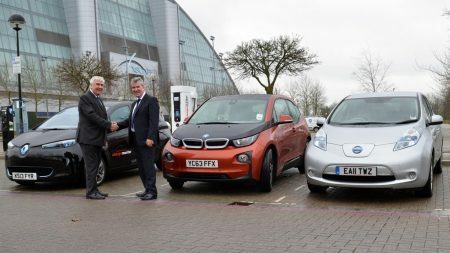 “This is excellent news for local electric vehicle drivers and is another vital step to lowering our collective carbon footprint in line with the Council’s low carbon strategy. 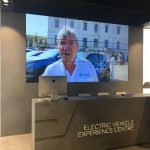 We have enjoyed a very constructive relationship with Chargemaster Plc, a local company, for the last four years and we are pleased to be able to extend this partnership. “The fact that Chargemaster be fully responsible for extending the network each year and for all the operating costs of the units rather than the council means that we can make valuable savings to the council budget. The city will get all the benefits of having a comprehensive network of charging points”. This topic contains 4 replies, has 3 voices, and was last updated by Anonymous 5 years ago. This would all be great…if it where true! Yes they have been installed, unfortunately, as I found out on Friday night, they haven’t been switched on yet! I arrived at The Cambridge Belfrey to use one of the shiny new rapid chargers. Located it no problem and parked up but noticed the screen was off (we’ve had a Leaf for a year so I’m used to using chargers). I parked up and checked the charger. The meters on the back where illuminated but the screen and buttons where blanks. As this is one of the very new triple standard type I thought I’d try my rfid card in case it was in standby or something. No joy, so I went into reception and spoke to the nice lady I’d spoken to on the phone earlier who’d assured me it was working. She was very apologetic and fetched her manager who came out side with me and agreed it wasn’t working. He sat me down in the lobby and fetched me a very nice coffee (complimentary it turned out to apologise for my wait) whilst he called the site engineer back from home. They tried allsorts but couldn’t make it work. In the end I had to spent 3 hours in the near by park and ride to get enough charge to get me back to the midlands where we have chargers that actually work. I don’t dispute new chargers are a great thing, I just wish they would check they are genuinely live before publicising it!! Sorry to hear that, BUZM – it seems to be typical at the moment. Maybe one day new charge points will actually get tested with an EV before they are announced as working. People seem to think that we’re still at the stage where it’s enough to say you’ve got a charge point, and it’s ok to assume it will never get used. In fact we’re much closer to ‘build it and they will come’. It wasn’t even switched on never mind tested. The hotel manager was brilliant to be fair. He even traced the cable trench back and went in to check that the breakers were switched on. I contacted the BMW garage nearby afterwards (Elms) and they said that it had been installed but wasn’t due to be commissioned for another 2 weeks. I’m really glad I spotted this post – thanks BUZM! I was hoping to use that exact charger in a few weeks time to get to Bury St. Edmunds. It’s in a perfect position for getting to the east, north of London, where I go quite a lot. I was struggling to work out how to get there otherwise! Thanks for the info. I’ll definitely ring ahead to check it’s working now!